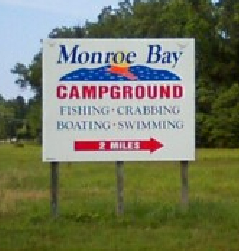 Monroe Bay Campground is one of many local area camping spots. This one is the closest to the actual Town of Colonial Beach. Open April 1 - November 1 each year. The picturesque Monroe Bay provides a beautiful backdrop for camping activities. The water views, sunrises and sunsets are just stunning. There are over 300 camping sites with water and electric. Sites can be rented daily, weekly, monthly and seasonally. 100 of the sites are equipped with sewer service. Two dump stations are also available for your convenience. Don't forget to grab a bite at the Paradise Bay Cafe! The business has been operated since 1932. Curley Packing Company began business in Colonial Beach as an oyster packing plant by L. L. Curley, Sr. 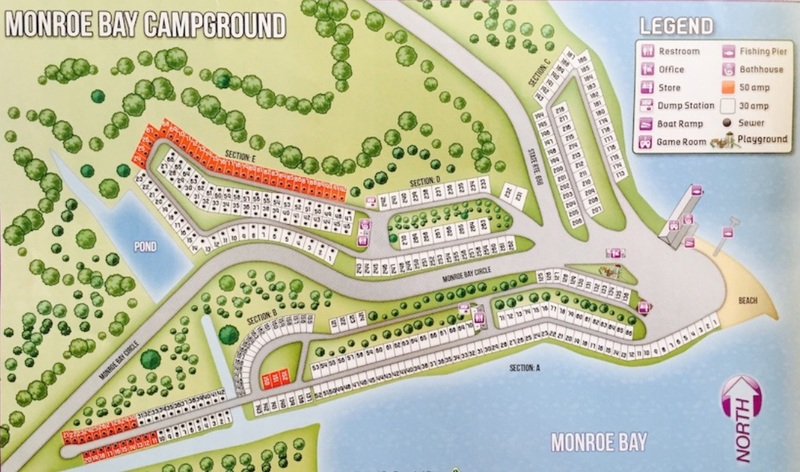 In the 1950's, Mr. Curley purchased land that he later developed into Monroe Bay Estates, Monroe Bay Campground and Monroe Bay Mobile Home Park. He continued to pack oysters until his death in 1994. Curley Packing Company continued to pack oysters until 2002. The current operation includes the campground, marina and mobile home park. The office is staffed 7 days per week. Contact the office for rates, reservations and any other questions you may have. website: www.monroebaycampground.com To get there, travel on Route 205 to the intersection of the yellow blinking light. You'll see Hall's Grocery, DeAtley's Service Center and Rydell's. Turn like you're going to Rydell's and follow that road as it changes into Monroe Bay Circle/State Route 658. Soon, you'll be at your destination.